Microsoft’s new Your Phone app isn’t ready for Windows 10 users to even try fully yet, as the company is still building the app, but it’s clear this will be the central way to connect phones to PCs. 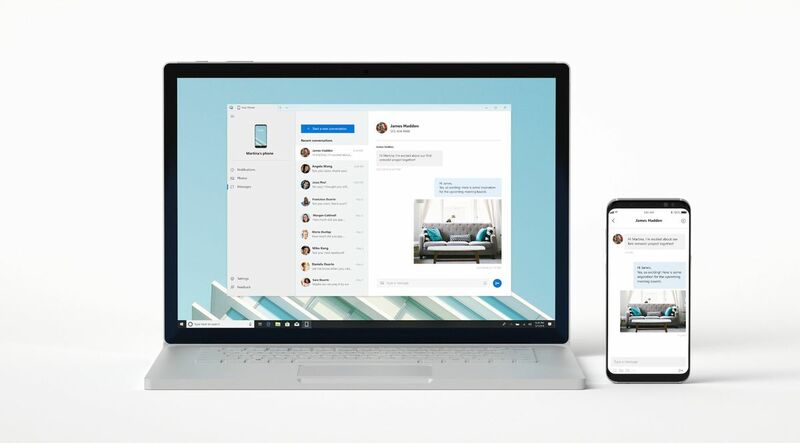 While Microsoft has used Cortana for linking SMS and notifications to PCs in the past, this new app will be the primary way phones connect to Windows 10 PCs. Microsoft has shown off messages, notifications, and photo sharing at the moment, but not all of these features will necessarily work on both iOS and Android. That work with Apple has not started, and Microsoft has not yet approached the company to see if it’s willing to work with Microsoft. It seems very unlikely that it will be able to convince Apple to partner on such a project, so Your Phone will likely ship with better features on Android. Still, Microsoft is also looking at other features for the app. “I know people have asked for calling and dialing as well, that’s something that has been on our radar as well,” reveals Ranganathan. Microsoft is also investigating clever features like providing directions based on text message information, or surfacing relevant contact information through the app. It’s still early for Your Phone, but Microsoft is clearly committed to making this a powerful part of Windows 10. 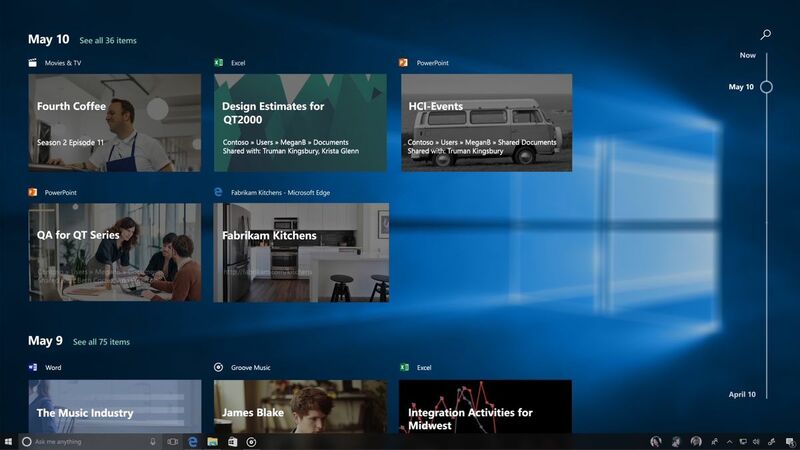 We’re still not clear exactly what features will ship in the next major Windows 10 update. Belfiore was clear on stage that Microsoft doesn’t want to commit to dates for some of the bigger features anymore, and even the tabbed feature (Sets) and Your Phone might not make the next release. 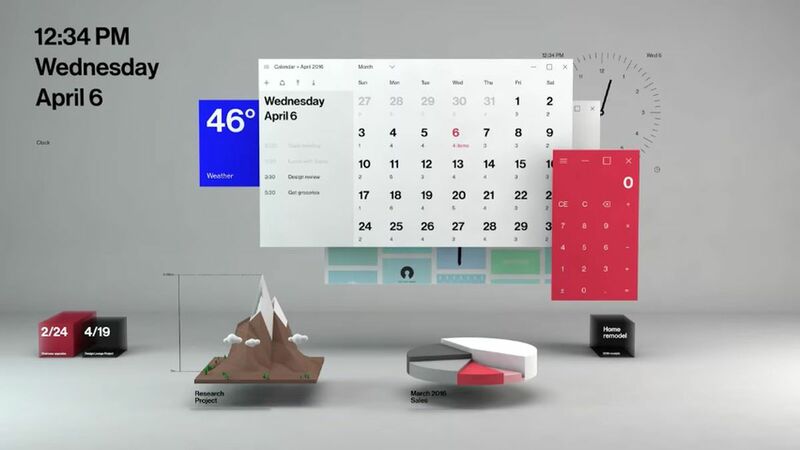 While Microsoft did reveal some of its Fluent Design UI changes during a Build session, the company isn’t ready to talk about some of the bigger C-Shell changes its making. “There’s a range of things that we’re doing that involve changing the way that the internal componentry works, but none of those things are ready to be talked about publicly,” says Belfiore. So what can we expect from Windows over the next 12 months? It certainly feels like Microsoft is shifting toward making Windows the best PC environment possible for productivity. The company has stepped back from a lot of its dramatic Windows 8 efforts with Windows 10, and it feels like Microsoft could go further in its efforts to make Windows the true power user platform. We’re starting to see some of those improvements in the test versions of Windows 10. There’s a new cloud clipboard that will sync clipboard contents across devices, and even a new screenshot tool that finally makes it easier to clip and share content. These changes are minor, but they will be welcomed by Windows users. Microsoft has been gradually improving Windows 10 with these productivity-focused features for years, and this refinement will continue.